On the Internet, the primary protection mechanism is encryption. 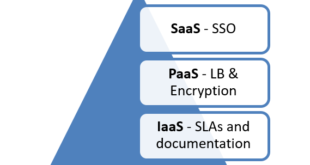 Cloud providers use encryption such as Advanced Encryption Standards (AES) and Triple Data Encryption Standards (3DES) to ensure a standard of security in their environments. A cloud storage gateway is a network appliance that is used when a business or organization wants a way to encrypt, compress, recover, and archive data before transformation to the cloud. For example, an internal data center owned by Company A is in the process of sending data backups and archives into the cloud for storage. Company A deploys a cloud storage gateway server inside their network. The server is responsible for encrypting backups, compressing data, recovering data, and archiving data. The encrypted data is then sent to the cloud service provider for storage. These four functions are not exhaustive; read the online resource, Cloud Computing Architecture, for additional information. With any emerging technology, standardization is a difficult topic as each vendor has a better way of doing things. Fortunately, DCs have been in existence for many decades and the standards developed during those years have carried over into cloud computing, and providers of cloud computing recognize that standardization is good for business. If a new technology is easy to use and works with pre-existing systems, it is likely to receive greater interest. Further, to provide greater confidence in the new technology, the adoption of well-established standards like ITIL and ISO by cloud computing providers will make it easier for businesses and organizations to gain confidence in the new technology. Cloud computing is such a technology. As seen in the above list and throughout this course, interoperability is a major topic in cloud computing. 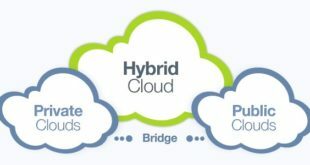 Cloud providers have created a forum to address various issues with interoperability. This forum is called the Cloud Computing Interoperability Forum (CCIF), and it seeks to develop a framework that will allow cloud platforms to speak a universal language. This is analogous to a MAC/Apple computer being able to run a Windows OS, due to the Intel processor. Public and private cloud standards differ in that organizations who typically adopt private cloud solutions are under more constraints. Private cloud standards are often industry or government based. Standards can also be mandated by the organization itself; for instance, organizations seeking to do business in the European Union (E.U. ), will adopt International Organization of Standardization (ISO) standards. Why? It is difficult to nearly impossible to conduct business in the E.U. without the ISO certification. Information Technology Infrastructure Libraries (ITIL) practices are commonplace in both public and private cloud solutions; however, ITIL is more likely to be seen in the private cloud environment. Public clouds often set their own standards. The Statement on Auditing Standards (SAS70) provides guidance to service organizations to assess their internal controls, in the event that they are audited. By staying in compliance with well-established standards, cloud service providers can show potential customers value in their services. Two other common standards associated with public cloud environments are the Audit ISO 27001 and ISO 27002 for security management. 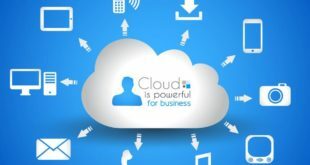 Cloud Computing for Business | What Drives Businesses to Cloud Computing?